Halloween! An embarrasment of treats. 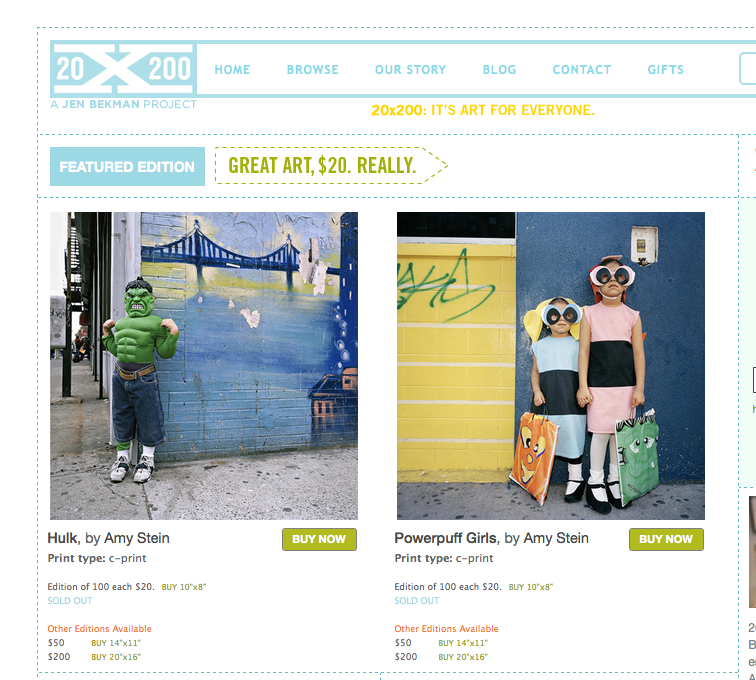 Wow – Amy Stein has a great Halloween inspired print sale over at JBP’s 20×200. Looks like they are selling like hotcakes so snap em up while you can here. I have soft spot for Incredible Hunk due to baby brother’s Incredible Hulk underoos as a tot. Anyone? Relaunch of ARCH’s Artist Residency Program – now accepting applications! Our artist residency program is an opportunity for artists to pursue their creative projects amid DC’s vibrant and diverse urban environment. Two residencies (for up to 4 artists each session) are offered; spring and fall. The residencies are approximately 8 weeks each. Each artist will work closely with the creative staff at the Honfleur Gallery and The Gallery at Vivid Solutions to determine the parameters of the residency and needs of the artist in advance of their arrival. 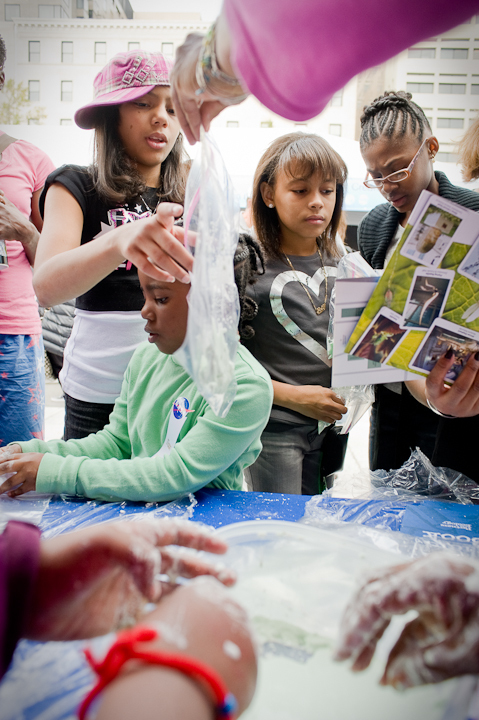 These parameters will focus primarily on details of the artists’ project, but are also about how to best connect to the local community, foster dynamic interaction and develop exposure to the resources of the greater DC cultural community. The program will offer free housing and free workspace to participating artists. Application fee $25. * Winter/Spring: DEADLINE December 1st, 2010 – The Winter/Spring Residency will run from February 21st – April 22nd 2011 and is open to any type of visual arts. * Summer DEADLINE March 1st, 2011 – The Summer Residency will run from May 30th – July 22nd 2011 and is open to any visual arts. 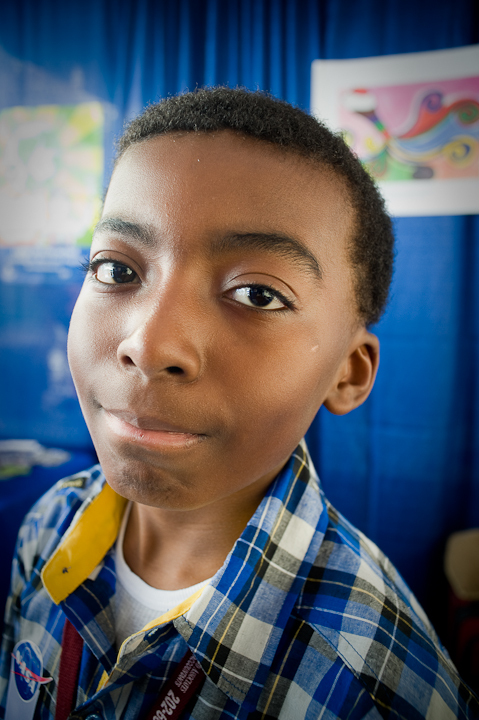 So I took a brief sojourn down to the Science Fair held at Freedom Plaza on Pennsylvania Avenue. These girls, were showing that scientists could be cheerleaders too, or is that the other way around? At any rate, they were all science majors back in the day in college. Wow. More wholesome activities prevailed: Is it a solid or is it a liquid????? They were passing out this stuff that looked like play-doh, but when you put it in your hand it turned into Baskins & Robbins ® Mint Chocolate Chip. Full on. What does it mean? Then I met my new fellow science geek friend. But he is a bit more learned than I. And cuter! Photo Books with Brenda Ann Kenneally on Tuesday Night. Discuss. The DC’s own Gina Martin is hosting a fabulous WPOW (Women Photo Journalists of Wa) fundraiser wherein a small group of people (one need not be gender specific to attend, so boys, girls, hermaphrodites are all welcome!) will have wine and cheese with the singular Brenda Ann Kenneally at Gina’s pied-à-terre in Dupont Circle. 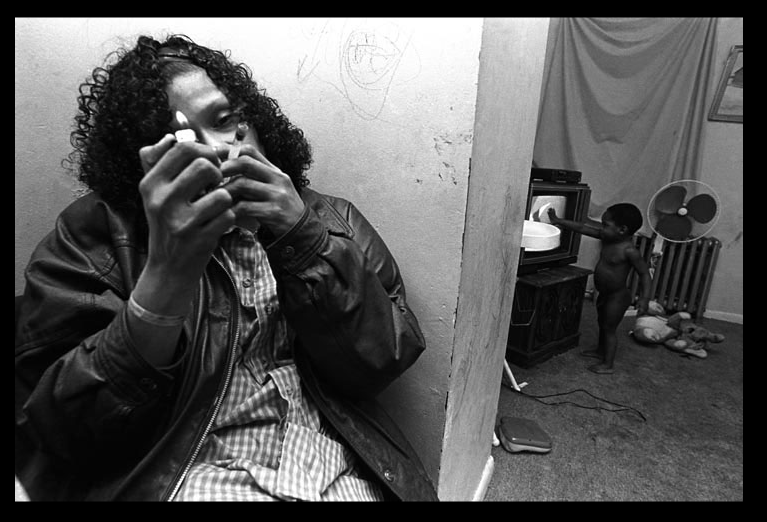 When I think of photographer’s photographer, I think of Ms. Kenneally, her work is so raw and intimate, taking me to unfamiliar places, made familiar by the work of concerned journalists who preceded her, but delivered with a veracity that is unparalleled, in my opine. I’ll be there. Hope to see you too! Toby Jurovics of SAAM in conversation with John Gossage Tonight! Note Photographer John Gossage finds moments of grace and elegance in even the most mundane places. 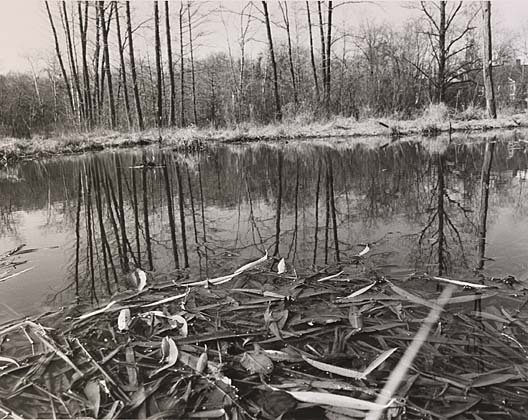 Join the artist and curator of photography Toby Jurovics for a conversation about The Pond and its role in the history of American landscape photography. 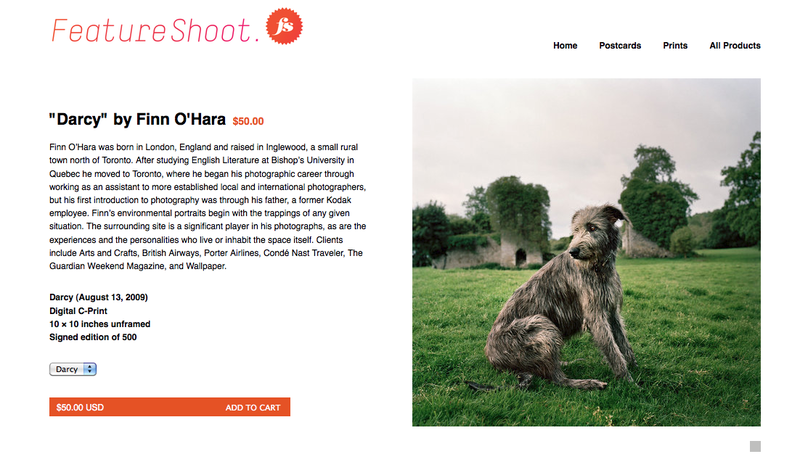 The indefatigable Alison Zavos, of Feature Shoot, emailed me of a new venture she’s running, an online storefront selling affordable prints. She’s just starting up so not too much inventory yet, but a quick perusal offered this gem for $50 by Finn O’Hara. With the holidays coming up and everything, and flat art ships sooooo much easier. You can check it out here. Bookmark, for future reference, please. The National Gallery of Art in Washington DC has an immediate opening for a digital photographer of two-dimensional works of art on paper (prints, drawings and photographs). This special one-year project may be extended up to two additional years. Experience in Adobe Photoshop and Lightroom in the service of digital image capture for a cultural heritage institution is required; experience in the application of color management is highly desired. The photographer produces high-quality reproduction images using an established, high throughput archival workflow.